What might seem like a good idea to save a few pounds in the short-term could come back to haunt you when it comes to having electrical installation work carried out. Using a registered electrician is always advisable on safety grounds but when it comes to making major alterations, known as notifiable work, it is imperative. 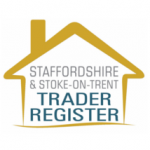 Certification is needed to show that work carried out in Stafford on wiring, fuse boxes and circuits is up to a legal standard – without this in place future house sales could be put into jeopardy. This is the obvious option. Qualified electricians that belong to a professional body, such as NICEIC will be able to self-certify their work and provide a Building Regulations Compliance certificate on completion. Day and Knight Electrical in Staffordshire is NICEIC registered and a Which? Trusted Trader and will always provide a safe, reliable and trustworthy service when doing electrical installation work. Being NICEIC registered allows Day and Knight Electrical, of Stafford, to provide all the necessary paperwork to show all notifiable work is compliant with Part P Building Regulations. If you fail to use a certified Staffordshire electrician for notifiable electrical work don’t make the mistake of thinking it can be checked and signed off at a later date – this is not an option. Unless an electrician has overseen the design and installation of the work they cannot legally certify it, instead they can issue an electrical-inspection condition report – the only way to get a Part P compliance certificate is to re-do the work. Rather than taking a chance always check any Stafford electrician you use is certified as Day and Knight is and avoid the risk of having to pay twice to get the job done properly. While unregistered electrical installation work can be certified if building control are notified in advance this will incur a fee and notification must be given before work starts. The message – backed by legal requirements – could not be clearer: If you want a job doing properly get a fully certified profession electrician in to do it. For all electrical work in Stafford and Staffordshire contact Day and Knight electricians. This entry was posted in Commercial, Domestic and tagged electrical safety, electrician stafford, electrician Staffordshire, safety first, stay safe, WHICH?, Which? trusted trader, WHICH? TRUSTED TRADER REVIEW.